My wife and I planned our entire wedding ourselves down to every detail. We even shot the photograph for our save the date thanks to a tripod-mounted camera. 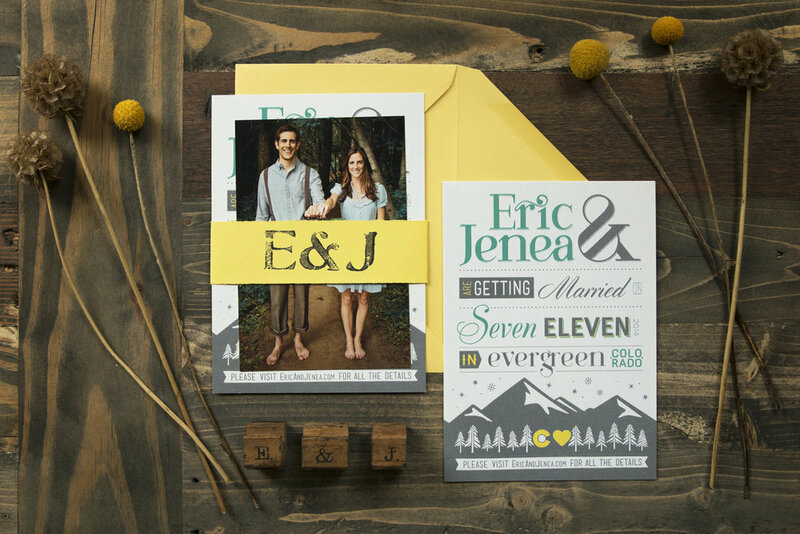 We also used vintage E & J letter stamps found at an antique shop in the mountains to give a final touch to our save the date packaging. 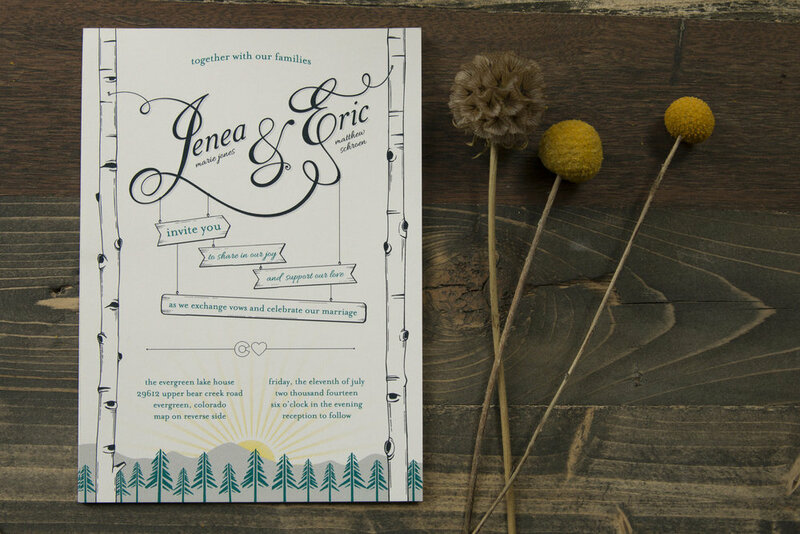 The words “Eric & Jenea” were customized to fit within the concept of the invitation. This involved adding more lines, descenders, and custom design elements. Custom typography with various typefaces were used to give the save the date a more dynamic look. 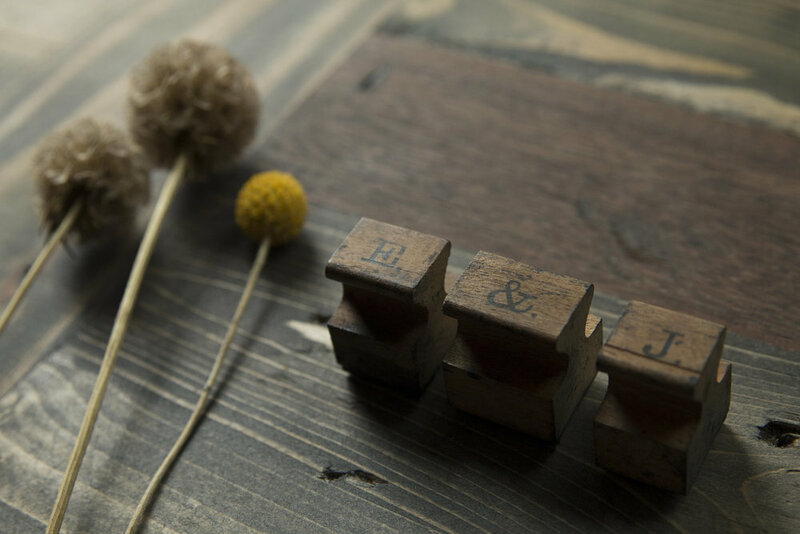 We found vintage letter stamps while shopping in the mountains for wedding collateral. These were used on the save the date packaging.